Never let it be said that Abergavenny’s Steam Rally is all about nostalgia and times gone by. To an extent it is, but is still not afraid to offer ground-breaking new attractions. The Abergavenny Steam Rally is in Bailey Park, over the May Bank Holiday Sunday and Monday, 29th and 30th May. Each day sees a full programme of arena events to delight the whole family. 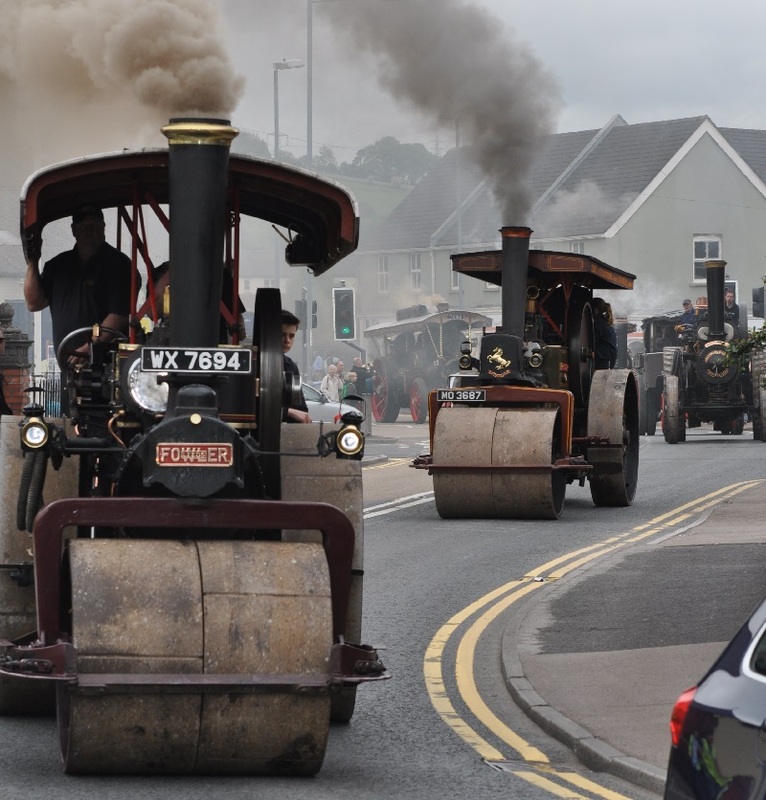 Both days include vehicle parades, bands and the ever-popular Tug of War between hundreds of children and a mighty traction engine. Numerous steam engines, vintage cars, etc. New to the show will be the 50 singers Rock Choir, who will perform in front of the Steam Rally. 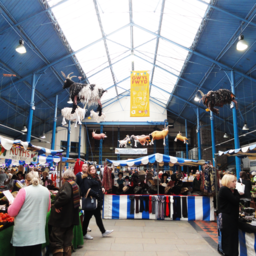 Besides a superb gathering of Steam Engines and Organs, there will also be a display of Vintage, Veteran and Classic Cars, Caravans, Motorcycles, Tractors, Military and Commercial Vehicles and Static Engines. In the arena you’ll have the chance to see Flyin Ryan, a dynamic daredevil motorcycle display as well as the return of Quackpack – a delightful act showing just what dogs and ducks can be trained to do. 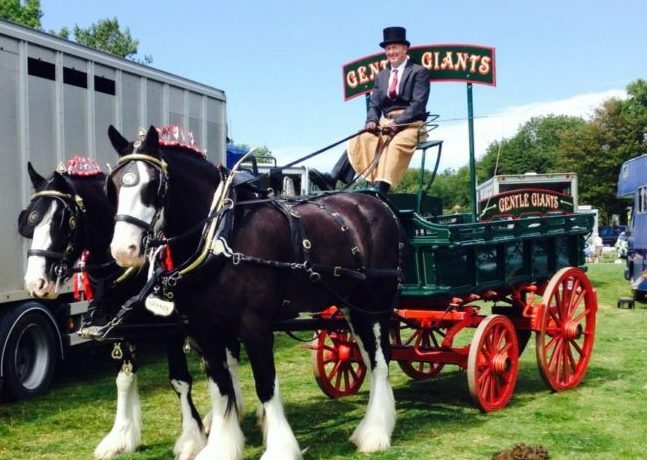 For the first time ever the rally will feature two magnificent Cardigan Shires heavy horses who will pull an original dray wagon in the steam parade and during the show will be there to be admired. The Shire Horses will take part in the Sunday Steam Run, and in a busy two days will feature in a plait-making demonstration and will challenge all the small children at the rally to a tug of war in the arena. 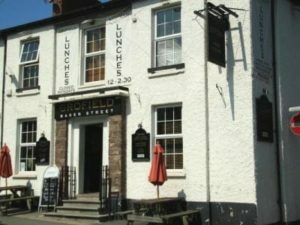 The show is run entirely by volunteers and all profits go to local charities and worthy causes. Local worthy causes are set to benefit from the thousands of pounds raised at this year’s bumper Steam Rally in Bailey Park. 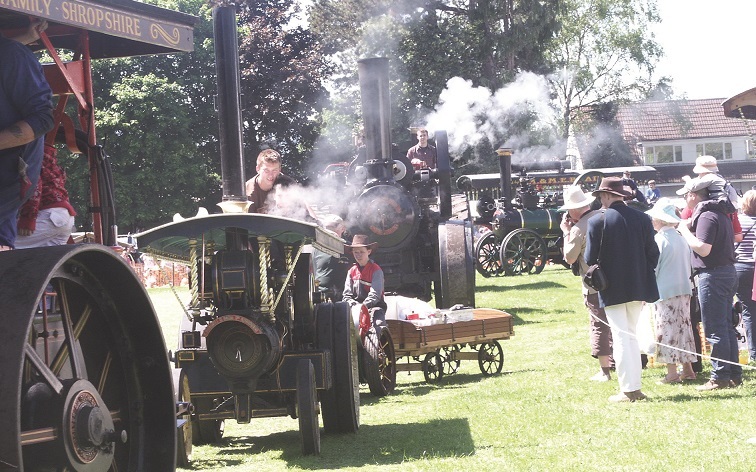 “This is a real community venture and all thanks to the hard work of a dedicated bunch of locals organisations which helped us marshall the event and make it such a great success,” said David Hassall, chairman of the Steam Rally committee.